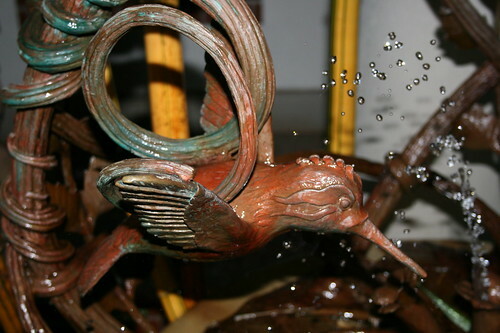 Close up hummingbird fountain, originally uploaded by DianthusMoon. Catching up on a few hunts. I love how I caught the water drop(s) in action in this shot. 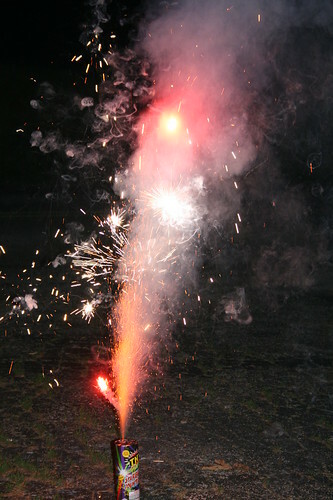 And a family tradition is to light up and smoke out the neighborhood on the 4th of July with noisy firecrackers. They whistle, pop and bang-so very loud! I heard back from the DNA testing place. They said the test is not for ancestry, that is a totally different test. My friend told me that DNA goes back 1,000 of years. Our ancestors all migrated from about 4 major continents if I’m not mistaken-Asia, Russia, Europe and Africa. My grandmom’s dad was probably born in Sweden or Denmark. That is very close to Russia, so I am sure the ancestors migrated and settled in Sweden. I was surprised to see Ireland as being second, but again-they could have started there and moved to England. I believe my maternal gr-grandmother’s heritage is Irish. I didn’t see a connection to South America, but there were a few from the Middle East and Africa-some small country and Eqypt. Sean said this peaks his interest in learning about ancestors and where they migrated. I think he was seeing maps in his head.